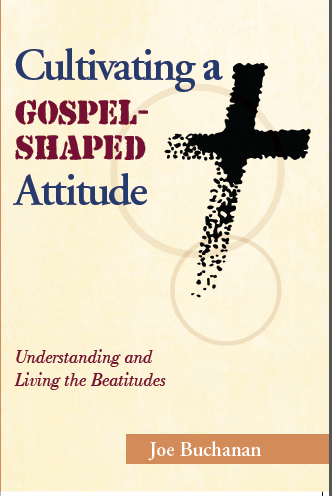 Earlier this year I published my first book entitled “Cultivating A Gospel-Shaped Attitude.” In this book, I examine the Beatitudes and show how they form a pattern for the believers life. One of my favorite chapters in the book is entitled “Joyfully Persevering,” which deals with the seventh Beatitude— “Blessed are those who are persecuted for righteousness sake, for theirs is the kingdom of heaven.” (Matthew 5:10) Over the past several days, I have felt like the message of this chapter is especially relevant for many believers today, so I thought that I would share it here on the blog over the next three days. If you enjoy these portions of the book I hope that you share it with your friends on Facebook and Twitter and click on the link below to order your copy of the book. A few years ago, I had the opportunity to spend some time with a missionary who was working in a predominately Muslim country in the Middle East. In order to protect his ongoing work, I will not disclose his name or the country where he lives and works, so we will just call him Bill. One afternoon, Bill and I went fishing on the Chesapeake Bay along with one of my deacons. As we sat in the warm summer sun catching fish, our conversation began to drift to the work Bill was doing in the Middle East. He had been on the mission field for several years at this point, and he shared with us that God was really blessing their efforts. He shared with us that in the previous month, over thirty new converts to Christianity had been baptized in one of the churches he had helped plant. “But doesn’t that get them in trouble with the authorities?” I asked. The boat suddenly got very quiet as I contemplated what Bill was telling us. “What happens to them next?” I asked. Bill’s words that day still ring in my ears when I think about them. 1. Are you willing to leave home and lose the blessings of your father? 2. Are you willing to lose your job? 3. Are you willing to go to the village and to those who persecute you, forgive them, and share the love of Christ with them? 4. Are you willing to give an offering to the Lord? 5. Are you willing to be beaten rather than deny your faith? 6. Are you willing to go to prison? 7. Are you willing to die for Jesus? The article goes on to say, “If he or she is willing to answer ‘yes’ to all of these questions, then A2 leaders invite the person to sign on the bottom of the paper that of their own free will they have decided to follow Jesus. If they refuse, it’s more likely that they may be operating as a police plant.” The penalty for being caught signing the document is three years behind bars, while the person who did the evangelizing faces six years in prison. It is difficult for me to fathom this kind of persecution. But in Matthew 5:10–12, Jesus reminds His disciples that being persecuted is a natural part of what it means to be His followers and is actually a sign of God’s blessing. It may seem like an oxymoron to refer to someone who is being persecuted as being blessed, but this is exactly what Jesus does when He calls for us to cultivate the eighth gospel-shaped attitude: “Blessed are those who are persecuted for righteousness’ sake, for theirs is the kingdom of heaven” (Matthew 5:10). In this verse, Jesus calls for every believer to develop an attitude of joyful perseverance in the face of persecution. But I say to you, Love your enemies and pray for those who persecute you, so that you may be sons of your Father who is in heaven. For he makes his run rise on the evil and the good, and sends rain on the just and on the unjust. …you will be hated by all for my name’s sake. But the one who endures to the end will be saved. When they persecute you in one town, flee to the next, for truly, I say to you, you will not have gone through all the towns of Israel before the Son of Man comes. Remember the word that I said to you: ‘A servant is not greater than his master.’ If they persecuted me, they will also persecute you. If they kept my word, they will also keep yours. But all these things they will do you on account of my name, because they do not know him who sent me. Beloved, do not be surprised at the fiery trial when it comes upon you to test you, as though something strange were happening to you. But rejoice insofar as you share Christ’s sufferings, that you may also rejoice and be glad when his glory is revealed. If you are insulted for the name of Christ you are blessed, because the Spirit of glory and of God rests upon you. Throughout the New Testament, persecution is viewed as a normal part of being a Christian; therefore, it should never take us by surprise. Suffering, then, is the badge of true discipleship. The disciple is not above his master. Following Christ means passio passiva, suffering because we have to suffer. That is why Luther reckoned suffering among the marks of the true Church, and one of the memoranda drawn up in preparation for the Augsburg Confession similarly defines the Christ as the community of those “who are persecuted and martyred for the gospel’s sake” … discipleship means allegiance to the suffering Christ and it is therefore not at all surprising that Christians should be called upon to suffer. In fact, it’s a jot and a token of his grace. It did not take very long for the disciples to experience their first bout with persecution. In Acts 3, Peter and John were on their way to worship in the temple when they come across a lame man begging for alms outside of the Beautiful Gate. Peter called for the lame man to look at him and said, “I have no silver and gold, but what I do have I give you. In the name of Jesus Christ of Nazareth, rise up and walk!” (verse 6). The Bible tells us that he immediately leaped to his feet and began to walk around, praising God and entering into the temple. As you might imagine, this scene caused quite a stir among the people who began to gather around, wondering what had just happened. Seizing this opportunity, Peter began to preach the gospel of Jesus Christ to them (verses 12–26), which quickly caught the attention of the priests, the captain of the guard, and the Sadducees, who then had Peter and John taken into custody. Acts 4:2 says that it was their testimony concerning Jesus that got them into trouble, and this has been the pattern right down to this very day. If you read through the book of Acts and the subsequent history of the Christian church, you will see that whenever and wherever Christians take a strong stand for the gospel, persecution is sure to follow. To be faithful to the gospel means that persecution is inevitable. The sooner we accept this fact, the easier it will be for us to handle trouble when it arises. If we want to return the church to its gospel roots, we will have to be willing to endure the inevitable hardships that come with persecution. We will also have to face the truth that oftentimes persecution will arise from within the ranks of church. The reason I say this is that there are always those in the church who are not really part of the true church. They have become members of the local congregation but have never truly been converted by the gospel. Strong preaching of the gospel will be an offense to them, and they will persecute the pastor and any other member of the church who strongly stands for the gospel. That may seem strange, but it is true. Every pastor who has taken a strong stand for the gospel has faced strong opposition—sometimes even to the point of being fired. But even more tragically some Pastor’s and church members yield to the persecution and end up compromising the gospel. Not long ago I was reacquainted with a guy I knew early on in my ministry. We had both started out in the ministry about the same time and would periodically run into each other at denominational meetings, etc. In the early days, he had a sincere desire to preach the gospel and was faithful to the task. He started out in a small church, but he soon began to move through the ranks so to say. This man went through a progression of increasingly larger churches until he finally ended up in a county seat First Baptist church. For those of you who are unfamiliar with Southern Baptists, the county seat First Baptist church is usually the largest and most influential congregation in the entire county. My friend knew what they meant, and he knew what was at stake. If he didn’t give in to their demands, they might fire him. He would lose his salary, his reputation within the denomination, and his standing within the community. My friend counted up the cost and decided it was too much to pay. He compromised and stopped preaching the gospel. Instead of taking people to the cross and showing them a dying Savior who was slaughtered for their salvation, he started showing them biblical principles about how to live a better life. His congregation was thrilled and began to grow. They even gave him a raise. It sounds almost like this is a success story, but as we sat and talked, he said to me, “You know, Joe, I miss the old days. I miss feeling the power of God in my preaching. I miss the feeling of knowing that I am being faithful to the gospel.” What a tragedy. Persecution is a natural and inevitable part of the Christian life. It is normative for every believer, and we are all going to face it sometime or another. Once we have accepted this truth, we can begin to recognize the characteristics of persecution. “South Asia Nation Struggles to Shape Itself,” Mission Network News (January 17, 2012). Dietrich Bonhoeffer, The Cost of Discipleship (1937): (6th ed. complete English Edition, SCM, 1959).